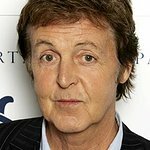 Sir Paul McCartney has declared his support for BUAV's No Cruel Cosmetics campaign to end animal testing for toiletries and cosmetic products sold in the EU. Despite UK and EU bans on the use of animals to test cosmetics and toiletries, cosmetic companies are still allowed to sell products within the EU that have been tested on animals in other parts of the world. An import and sales ban on animal tested products in the EU is due to come into effect in 2013. However, concerns have arisen that there may be a delay of up to ten years for this to be implemented. In response, the BUAV has launched the No Cruel Cosmetics campaign calling for the ban to come into effect as planned in 2013. Michelle Thew, Chief Executive of BUAV, said: “We are delighted that Sir Paul has joined our campaign to end cruel tests on animals for beauty products. Please sign our petition to the European Parliament at www.nocruelcosmetics.org. Together we can show there is no public appetite for animal tested cosmetics and urge the European Parliament to vote against delaying this ban”. Celebrities, politicians, cosmetic companies and citizens of Europe are being urged to sign the Euro-wide petition. 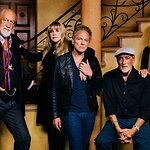 Stars such as Ricky Gervais, Chrissie Hynde, Joanna Lumley and Joss Stone have shown their support for the charity.